Hello and Welcome! 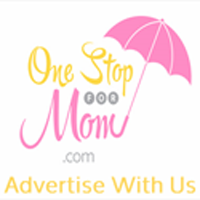 I am so glad that you found OneStopForMom.com! 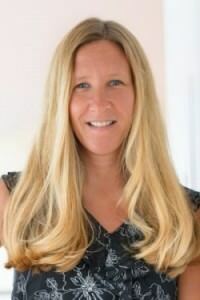 My name is Melissa and I am a wife and a mother of 2 exceptional (I might be a bit biased here!) kids. The second I became a mother in 2001, my focus was all about that baby and what I could do to care for her. Every second of every day was about her. It was amazing AND it was overwhelming. In talking with other women, I quickly realized I was not alone in my thinking, which was very comforting. When my second child came along it was amazing that my heart had room enough to love both of them and I knew that I was meant for motherhood and it really was all that I ever wanted to do. Fast forward to both kids being in school full time which allowed me to have some free time….it was time to go back to work. I wanted something flexible, I wanted to make a little fun money, and I wanted the perfect “mom job.” After working at a couple of different jobs, I decided that even though I loved what I was doing, it was time for me to do my own thing. Hence, OneStopForMom.com was born! I wanted to create a site that busy moms could go to find information and services for all of their needs. There is nothing more exhausting and time consuming than a search engine and having to look at multiple websites for what I need. So it is my goal to be your “One Stop,” I want all of your needs and wants as a woman, wife and mother to be met and exceeded by this site. I have partnered with businesses that are the absolute best in our state to meet your expectations and I am always open to hearing from you about what else is on your list. So again, welcome and all the best to you and yours! Hello my name is Pam Pargen. I was born and raised in Stamford Connecticut, went to college in New York and returned back to my home in Stamford. While living in Stamford, and then in Westport, I had a thriving marketing career in lower Fairfield County as an Art Director. I decided to purchase a house in Milford and continue my growing career. While refurbishing my 1914 farmhouse I met my charming husband from West Haven. Once we were married we chose Milford to be our home. We are in love with the long walks on the 13 miles of beaches, the sprawling green and even a walk on the docks at the marina. Then came the light of my life, Jack. As the incredibly fortunate parent of a special needs child, I was faced with the need to work from home. While continuing to help small businesses market themselves, I met Melissa from OneStopForMom.com. Her passion and enthusiasm inspired me to continue my marketing career by helping consumers as well as small businesses. I love what I do and I look forward to inspiring you with information from my experiences across Southern Connecticut. Welcome to our site!